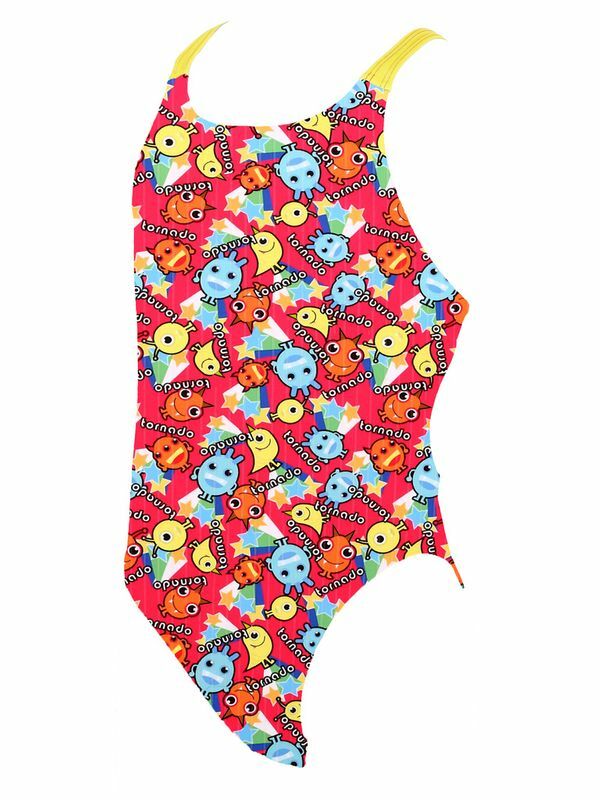 The Tornado Packed Out Girls One Piece is pink with a random pattern of stars, monsters and the word Tornado in shades of blue, orange and yellow. Yellow straps come together in the back to create an open design which allows for maximum comfort while swimming. This swimsuit is the perfect racing swimsuit. Tornado Sports is the leading Korean swimwear brand and is a popluar choice amongst National Level swimmers. Tornado Sports racing swimsuits are made from superior high peformance fabrics.